Welcome to the Church at Severn Run! We'd love to see you this Easter Weekend. Click here for more information on our Easter Services and our Community Easter Egg Hunt. Don't want to wait for Easter? See you this Sunday at 9:30 AM, 11 AM, or 12:30 PM. Learn all about what an experience at Severn Run is like here. 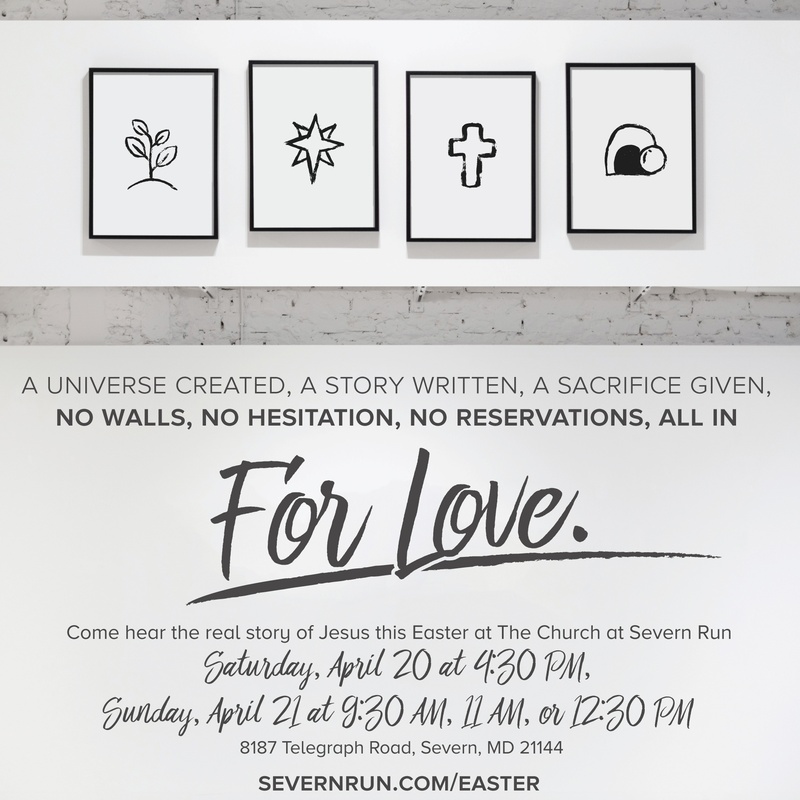 At Severn Run it's our mission to creatively reveal Jesus. We aim to make sure that each worship experience does just that. Your kids are important to us. That's why we designed a unique worship experience just for them! Available to all kids from birth through 6th Grade. Middle & High School students have opportunities to worship, connect, and serve on Sundays with Collide Student Ministry. Once you've visited Severn Run, getting connected is the next leg of your journey. Serving is one of the best ways for us to creatively reveal God's love. Help others come to know Jesus by participating in one of our Impact projects!